Following on from my last blog, I’m pleased to tell you that our vehicle enquiry service, ‘Check if a vehicle is taxed and has an MOT’ has now reached live status! It’s been a long two years since my team and I set out to get the service through the GDS (Government Digital Services) live service assessment. It’s been a great project to work on and we’ve all learned a lot about designing a digital service. The first step was to try and get a deep understanding of the users and their needs. We did lots of lab testing with different designs and layouts. The feedback from this and accessibility testing has shaped how the service looks now. It also led to us developing a new channel called the VES API (application programming interface), which we’re hoping to roll out in public beta in the future. We couldn’t have made these improvements without the help of our customers. We know that users are satisfied with the service. Our analytics show that overall search completion has now reached over 88% and user satisfaction is at 92%. 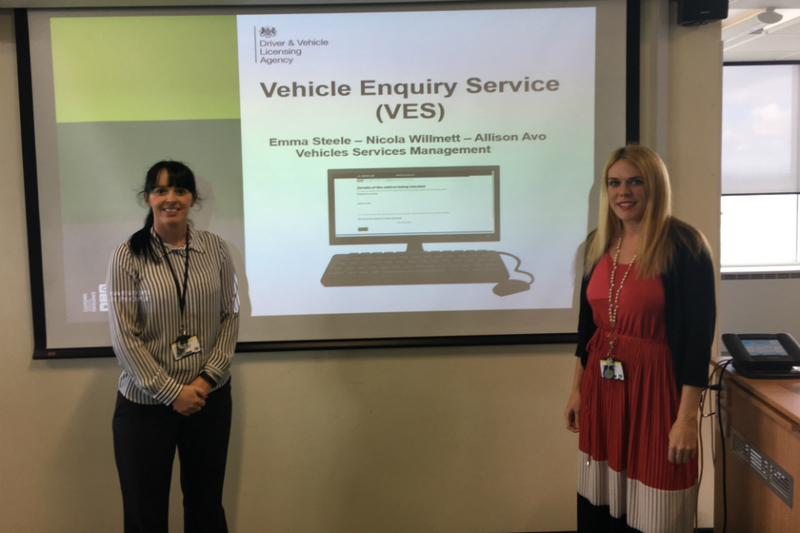 One of the big changes we made to the service was removing the need to enter a vehicle make when making an enquiry. We worked with our policy colleagues to fully understand the potential benefits and risks. Since doing this, the average time it takes for a user to get information has decreased by 2 seconds and the failure rate has dropped from 18.2% to 8.7%. That’s a 52% improvement! We plan to showcase what we’ve learned from this project with other government departments. It's been a brilliant experience which we want to share with other product owners and the community. Although the service is now live, we'll still continue to add new features and improve the user experience. To help us do this, we'd love for our users to continue to give us feedback. Tax enquiry still not real time for vehicles taxed online ie tax a car Monday, does not show as taxed before Tuesday. Not success in my book ! Fantastic service and great work. How soon before we can access this information directly via the API - without having to go through an expensive 3rd party? - Sign me up for beta too! Thank you! The API is being trialled in Private Beta. Please keep an eye out for any updates in future blogs. This is good and would be even better if there was a link to MoT history! Maybe you can teach the government a thing or two! It would be good to have insured / uninsured status as well. When is the app coming out ? There is no app for the service but it is available on the browser, which you can access via your phone and has a mobile-friendly layout. This is a good idea, however, DVLA don’t own the rights to the insurance data. We do have a link on the service, to 'Ask MIB' if you wish to check on your insurance. Absolutely brilliant ! Well done with this service! The MOT checker is also fantastic, when buying a secondhand car it really helps to find out its history and what the vehicle has failed on in its past...gives you an insight to its history.. I was checking my car status,the answer was.. DVLA doesn't have e any information about this vehicle, it means s doesn't exist!!!!??? 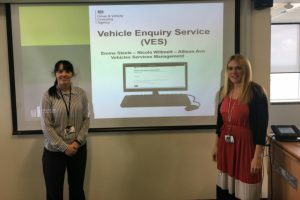 How is that any different to https://vehicleenquiry.service.gov.uk/ConfirmVehicle which has been in Production for many years. Well spotted - it is the same service! 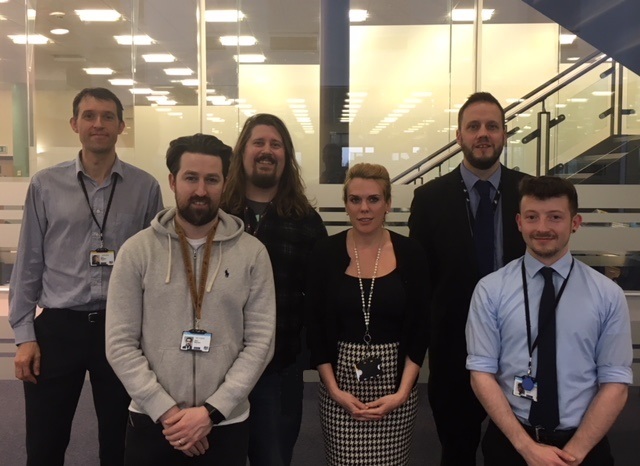 In order to pass the 'Live' GDS assessment, we have made significant design changes based on user feedback and we will need to continuously improve the service through its life cycle. Therefore, even though it’s been in production a long time it will continue to change along with users’ needs for it. You still cannot see the testing station where a car had its MOT. I'd noticed the removal of the requirement for a make. Much better. It always seemed ridiculous having it in there when I could take the car reg and pop it into an insurance website to find out the make, then give that to your site to get past the check. The service is super easy to use now and gets MOT data straight away after the garage has uploaded it. Well done. In the past this service would show if the vehicle was used for disability and was tax free.This led to many many people who where abusing the DLA being reported and prosecuted .This in turn saved taxpayers a lot of money ,why have you removed this facility from your site. We appreciate the benefit to using this data for addressing DLA fraud, however, disability status is considered as sensitive/personal data and DVLA made a decision to remove this from the digital service to protect individual’s personal data. This is a fantastic and extremely useful service but it needs to pull MOT data for vehicles that have been MOT'd in Northern Ireland. Currently this data is unavailable. Will this issue be addressed? What I mean is the MOT history with recorded mileages etc. I know it tells me if it is MOT'd but history is very useful as there is an alarming high rate of 'clocked' cars here in Northern Ireland. Thank you for your kind comments! Happy for you to provide your vehicle registration number so that we can check why this is not appearing on the service? Thanks its been useful to check my cars and bikes insurance, good work. Why is the system unable to show test history for PSV vehicles....even the Police have said my vehicle is not Mot'd, until I prove it with a certificate. The service doesn’t provide MOT test history. We are working with DVSA to see how we can collaborate across these services. You can use DVSA’s ‘Check MOT History’ https://www.gov.uk/check-mot-history service for more detailed MOT information. I think it's a fantastic service. We regularly get untaxed and vehicles without MOTs dumped in our street and shortly after we report them they're gone! I think it has been a great success. Thanks for all your hard work. Don't take to heart any of the negative people, because I know how hard it can be to get huge projects like these to work. You've created a great service that is simple to use, and gives the user access to very useful information. I applaud the DVLA. The systems works as it should with no roadblocks. Satisfaction is really 100% in my books. When is an app coming out for you to report a car that's not got tax or mot but still driving on the roads. DVLA doesn’t have an app for reporting untaxed vehicles but you can report an untaxed vehicle by clicking the link on the right hand side of results page, within the service. Enforcing MOT compliance currently sits with police and local councils. I love this service but is there an app to report vehicles that are not taxed or mot'd but are still being used? There is no app for reporting untaxed vehicles at the moment, but you can report an untaxed vehicle by clicking the link on the right hand side of the results page, within the service. We get over 30,000 reports of untaxed vehicles per week now using this option! Not is the MOT live. I think k DVLA should take a leaf out of the DVSA book when. It comes to making s public API and accessibility of information. What is the realistic time scale for the public API. It was muted about being early last year. The API really is needed. Especially in light of a few of your 'selected' customers already having the enjoyment of it during this prolonged 'testing' period. Again reference to DVSA efficiencies and willingness to work with users is a credit to the DVSA. A 1 service many thanks !! Love the check MOT history feature. Not only can you check the vehicles mileage is legitimate but the MOT fails and advisories give you a great insight into the vehicles general condition. Good work guys. MOT is a day out of date from the DVSA, a very poor show by the DVLA - the DVSA are light years ahead.